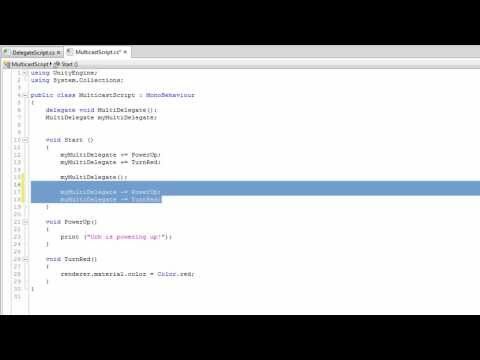 How to create and use delegates to provide complex and dynamic functionality in your scripts. //C# does. Instead, you can create a "Function"
//container that works similarly to a delegate. //you will need to use C#.